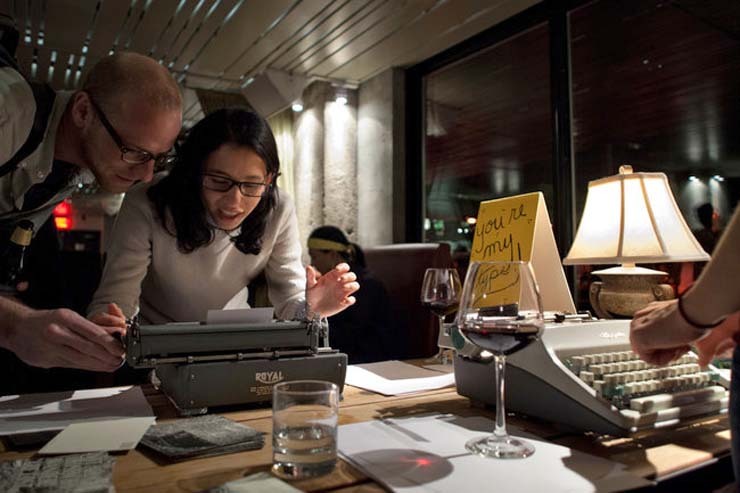 Another news item featuring Tom from Life in a Typewriter Shop via a Boston-based blog. The most encouraging thing about Furrier’s posts, however, are the before and after photos he takes of machines that look like they were drudged up from the depths of the most foul swamps. This is a great piece of fictional correspondence. It is funny that they are so mystified. I know several people that would construct a package like this for fun! UPDATE: Here is the solution to the mystery! A Royal and an Olympia at a "digital detox" event in San Francisco. Story in the New York Times -- thanks to Phillytyper.